From tech start-ups to Fortune 500 companies to even presidential candidates, anyone in a position that involves talking to the media could learn some valuable lessons from Bruce Jenner's interview with Dianne Sawyer. While Jenner's confession that he is transitioning to become a woman wasn't surprising to those who follow the Kardashians and keep tabs on entertainment news, what was amazing was how moving, touching and affirming the interview was. This was no accident though, as Jenner had a message and knew exactly how to deliver it -- no doubt through media training, mock interviews and careful management of the parameters of the interview by his PR people. The first thing you notice in the interview is how he is dressed and his demeanor. Casually but appropriately dressed, the untucked button down shirt set a relaxing, conversational tone. At times, Jenner calmly sat back, not slouchy or because he was tired, but to show he was very comfortable talking about what could be an uncomfortable topic. Even the interview setting -- a large white leather couch -- set a tone for a conversation not an "interview." Appearance may have first set the tone, but what Jenner said also relaxed and won over the 17 million viewers who -- based on my Facebook feed, at least -- felt an intense and emotional connection with his struggle. Jenner was very well-scripted, saying multiple times that his hope for this interview was to change other people's lives. He came across as humble, making viewers sympathize with his lifetime of struggle and confusion. 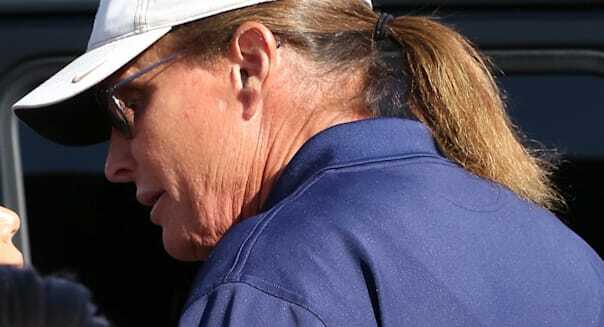 He was personable -- at times making off-the-cuff jokes and comments that gave us a glimpse into the actual Bruce Jenner. Remember, until now, he was basically Mr. Kris Kardashian. He allowed himself to be vulnerable, shedding a few tears throughout the interview. There was a humanizing moment when he and Ms. Sawyer visited the house he grew-up in where he first began trying on women's clothing. And finally, he admitted to being a flawed human-being, revealing that he had apologized to the women in his life, for what he believes was being unfair to them. Humble, personable, flawed. Serious, laughing, crying. He let the audience in and took us on an emotional ride, and he won our hearts. But this didn't happen by accident, and CEOs should watch this interview not necessarily because they are interested in the topic but because they could learn how to truly conduct a major interview and push the story they want covered. For many executives, they believe they are too smart to have to prepare for interviews. But success in the boardroom doesn't translate to success with a reporter. And while some may be very good at delivering the message, they may lack humility or a personal touch which can impact how they are portrayed in a story. For other executives, they are put into a position to relay a message they don't honestly believe. How many times have we seen Hillary Clinton try to be personable and relatable and it comes across as stiff and unbelievable? Her most "real moment" was when the weight of the 2008 presidential campaign was so much it drove her to tears when asked a question by a voter. And when John Boehner cried on "60 Minutes," it was considered too much emotion, leaving viewers chuckling that one of the most powerful men in Washington D.C. had reduced himself to a crying baby. But to help an executive relay a singular message and conduct a successful interview, communications people have to know how to set the stage, which Jenner's people did masterfully. First, topics and parameters were set. Viewers felt like they were organically taken on a journey through Jenner's life and struggles, but this was meticulously architected. We were given a glimpse into his childhood, with Jenner and Sawyer going to his hometown where the confusion first began. Pictures of Bruce as a child were gently displayed on our TVs, as we saw in our heads a boy who was smiling on the outside but feeling confusion on the inside. We were taken through Jenner's Olympic years, where he became the most famous male athlete in the world. At every point in his life, Jenner was prepared and very well-scripted to talk about what he was feeling and going through, and it drew the viewer in even more. Second, Jenner's public-relations team was willing to talk about the tougher issues as well -- to include three marriages and a handful of kids. If you are in communications and are trying to manage a high-profile interview for an executive, you can't avoid the bad stuff but you can face it and manage it. As a result, Jenner was very careful to be truthful about his marriage with Kris Jenner to an extent -- even blaming himself. And it was no accident that none of his wives gave a comment to ABC. Instead, ABC was provided on-the-record interviews with his media trained sons, to include Brandon Jenner, who Sawyer even called out for being too positive. And if you were really paying attention, you'll notice that his mom, Esther Jenner, gave a prepared video statement -- looking directly at the camera with lighting that was in stark contrast to the famous ABC rose-colored lens. ABC was allowed to get close to the Jenner/Kardashian clan -- but not too close. Finally, Jenner revealed some rather shocking information. He talked briefly of wanting to commit suicide and that he was a Republican and a Christian. It wasn't enough to derail the tight message and story that had been concocted by his public-relations team prior to the interview, but it was just enough to raise eyebrows -- and interest -- of viewers. And as an executive, you have to be willing to sprinkle revealing information into an interview but then have the ability to bring the story back to your message. CEOs don't have to be interested in the Kardashians and transgender issues to watch Bruce Jenner's feature on ABC. What they can do is take the two hour, tell-all and use it as a guide on how to truly conduct a successful interview to the press, because being well-prepared and working with a communications team that is tightly controlling the process can -- like Jenner -- win over the hearts of your audience. Anything less than this type of preparation, can result in stories that could do indelible harm to a company and the executive. Commentary by Trey Ditto, the CEO of Ditto Public Affairs, a full-service communications firm in New York. Previously he worked in political communications, including a stint in the Bush administration. Follow him on Twitter @treyditto.